It's here - the Black Friday sale! This is our biggest sale yet, boasting 95% OFF! This is your chance to get prepared for the fun Christmas break where we will be holding many fun server events and updating the server consistently with new, exciting features. The sale will only last 24 hours so you better be quick. I'm extremely excited to announce Season 4 of Skyblock. This will be our biggest reset yet. Here are just a few of the major changes we have done for the new Season. Due to many complaints about the economy and how easy it was to get $ we have balanced the economy to a more fair economy. We have many new minions and also smoother gameplay with the minions. It is an entirely new plugin and runs amazing. Spawners will now be buyable in ./shop. Also spawners will be upgradable to increase the radius and amount spawned in! NEW Ranks have been introduced. If you have a current rank on the server you will receive the equivalent of the new ranks. There are 11 Masks we will be releasing masks for all mob heads. There should be around 20-30 masks created this week. 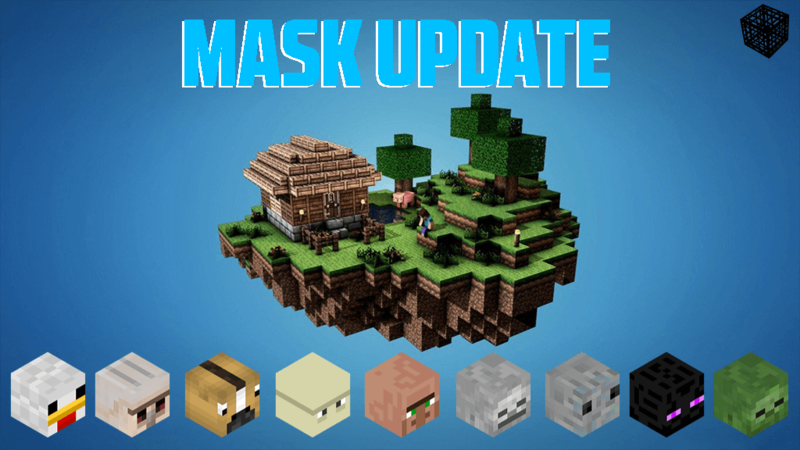 We've introduced Mask Crates as well, with a 1% chance on vote crates they're available in our store. What are some Masks and Bonuses you would like to see added? If you have trouble logging in forums, reset cookies (clear history). Brand new /shop filled with Hundreds of new items! There's an NPC in /spawn to do that also. Slightly increased diamond/emerald/iron drop rates on most spawners. New /island or /island cp menu (Added island settings, upgrades, shop). Please leave feedback! I love to hear great suggestions. FrozeMC SkyClutch'd an Dragon Egg! FrozeMC clutched a Dragon Egg first try, awarding 10,000 island levels! on the Crates! What are some great things you guys have won using keys on Sky Crush? Checkout the video he just released on the server. Stay tuned for some more great youtube series on Sky Crush and we'll implement some features so you can play with them, give them items and checkout their islands! Can you reach top 10 /is top with FrozeMC? I hope all of you are coming onto the server and voting on all sites every day because you can win some BIG rewards. Each of the voting sites is located on the right side of the website so you should have no trouble unlocking those goodies! Here are the links just in case you missed them! 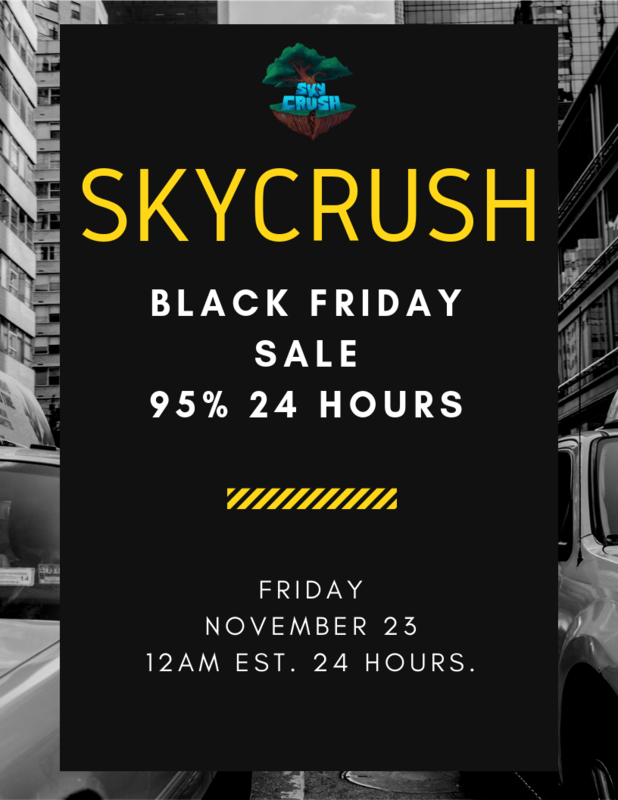 With the addition of partnerships with many YouTubers, SkyCrush has gained many players and it is increasing every day! I'll leave you guys a link to a few of the videos posted about SkyCrush. I will add other YouTubers here shortly! Christmas is finally over for 2017 around the world so I'd like to say thank you to each of you who continue to play SkyCrush! Since we like to bring what you guys like, what would you rather have? OP Prison or REG Prison? Neither game mode is EASIER than the other. It's all personal preference. Most giveaways will be held via Twitter so make sure to follow! Earn great rewards for voting for us!